It’s been a busy day in the Netflix camp (when is it not?) what with the announcement that The Defenders, Marvel’s team-up series that acts as the culmination of four superhero solo outings, will debut via the online streaming service in August. A viral site was launched in tandem with the teaser, which offered fans a handy refresher on all four of Netflix’s reluctant heroes before they come together to face Midland Circle and, specifically, Sigourney Weaver’s Alexandra. 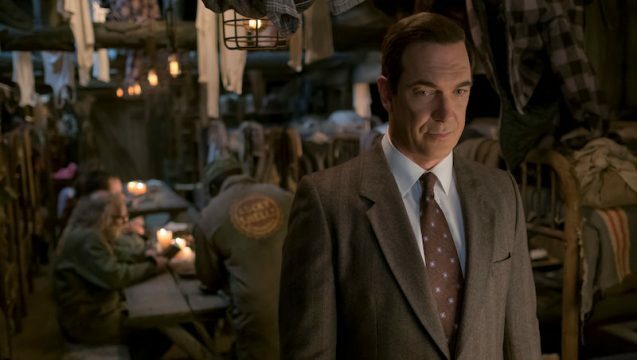 Elsewhere on the company’s roster of original content, we have Lemony Snicket’s A Series of Unfortunate Events, the live-action spin on Daniel Handler’s YA saga that debuted to relatively strong reviews back in January. Since then, and buoyed by positive word of mouth, Netflix’s gleefully morbid adaptation has gone from strength to strength, scoring rave reviews among critics before the online streamer ordered a second season. Yes, much to the chagrin of Snicket – not to mention Neil Patrick Harris’ aloof Count Olaf – the Baudelaire orphans are here to stay, and the good news doesn’t end there. Less than a month after Netflix future-proofed A Series of Unfortunate Events, today brings word that the company has nailed down plans for a third season. No further details were given at the time of writing, only that the adaptation will return in 2018 and beyond. Series creator Daniel Handler has teased a tentative story arc in the past, one which would bring Netflix’s small screen rendition in line with The Carnivorous Carnival – the ninth novel in the original YA series. That opens up plenty of ghoulish adventures for Violet, Klaus and Sunny Baudelaire, and after a strong first year on the airwaves, we’re excited (and a little apprehensive!) to see all of the Unfortunate Events Netflix has planned going forward. A Series of Unfortunate Events will return for a third season, though there’s still no mention of when the show will be back for its second year. We will, of course, keep you right up-to-date as this story develops, though.